Chabad House offers a full range of study opportunities geared to every age and background. Offering an annual series of 3 courses by the Jewish Learning Institute, the largest adult education network of its kind. 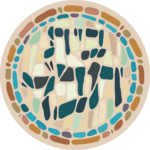 Gain a meaningful understanding of Kabbala by studying profound and authentic Kabbalistic texts. No red strings attached. Crash Course on Basic Judaism, Hebrew Reading, Basic & Advanced Jewish Philosophy, History of the Jews, Hebrew Comprehesion, Jewish Mysticism & Kabbala, Torah (Bible), Talmud, Mishna, Jewish Law, Guide to the Synagogue, Jewish Ethics and more. Excellent Bar and Bat Mitzvah classes that will help make your child confident and proud of his/her Jewish identity. Would you like to start a study group in your home or office? If you don't see a class that fits for you in our list of programs, call us to start a class for 1 or for 100!